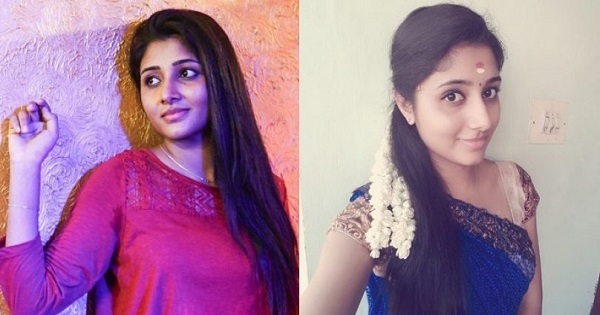 Upcoming actress Athira Santhosh attempts suicide after being $exually harassed by the director. Athira Santhosh is mainly known as Athithi in Tamil Film Industry. Athira Santhosh is a Popular Malayalam Tv actress in Kerala. She rose to the fame for her role in Malayalam serial Dathuputhri. The serial is telecasted in Mazhavil Manorama channel. Athira is also a classical dancer and has done many stage shows in Kerala. Athira Santhosh is making her debut in Tamil film industry with Nedunalvadai movie. She has faced many problems from the Nedunalvadai film director Selva Kannan. According to the reports, Selva Kannan has made several love proposals to Athira Santhosh and asked her to marry him. She has rejected gently, but the director didn’t stop and started harassing her mentally and physically. Director Selva Kannan has locked actress Athira Santhosh in a room for not accepting his love proposal. Selva Kannan physically abused her and threatened her that he will destroy her acting her career and will her if she speaks about this to anyone. Athira Santhosh was depressed as she could not tell about this to anyone and couldn’t take Selva Kannan harassment anymore, this led to her to take this drastic step. On 28th September 2016, Athira Santhosh attempted suicide by consuming poison. She has posted on her Facebook timeline that she decided to end her life. She was immediately taken to the hospital, the doctors were able to save her in time. A police complaint has been filed on Director Selva Kannan on $exual harassment case. Check out Athira Santhosh exclusive interview video from the hospital on Director $exual harassment case.